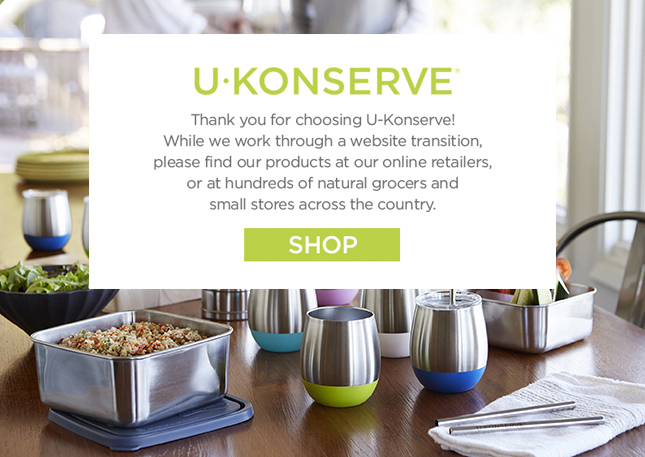 U-Konserve is the result of two mothers' struggle to be environmentally conscious as their families grew. As they packed school lunches, they knew the plastic baggies, drink cartons and single-use containers leaving their homes were destined for landfill. With this in mind, they created a waste-free lunch kit, and in 2008 U-Konserve was born. The desire was to have an impact beyond just creating durable, long-lasting products. The goal was to offer reusable and innovative solutions to change behavior and help the planet. That is the same goal that drives our mission today. When Lynn's two young children started school, she noticed an astounding number of single-use food wrappers and packages, as well as hundreds of plastic water bottles, being thrown in the trash every day. This awareness, coupled with many conversations with longtime friend Chance, led to sharing ideas for new waste-free solutions. A few years later, the two friends joined forces and U-Konserve was born. Their many successes and continued growth is due to their strong friendship and complementary backgrounds. Lynn never would have guessed that a career in finance and business development would transition into a role where she could offer useful solutions for families to live more sustainably. It's important to Lynn that she is growing a business that will leave the Earth a better place for her children, and she's grateful that she can show her children how her hard work is meeting such an important need. In 2003, after the birth of her daughter, Chance became increasingly concerned about the health of the planet. As she packed school lunches in throwaway packaging she realized that many other families were doing the same, and this daily habit was having a devastating impact on the environment. Inspired to reduce the staggering amount of trash that was polluting our landfills and oceans, she sought out alternatives, which ultimately led her to create the company's first Waste-Free Lunch Kit in 2008. Her contribution to the success of U-Konserve was born from her experience as an original team member for the launch and positioning of the contemporary retail furniture company Design Within Reach. Chance appreciates sustainably designed and carefully curated products that last a lifetime. Her original interest in protecting the planet has grown into a lifestyle of reusing more, wasting less and raising awareness about the growing movement to reduce single-use plastic.